Very few cobblers exist today, as these days when your shoes ware out you(sadly) just throw them away but shoes built using traditional methods and the finest materials are shoes you could own for decades, not just months. When FEIT source materials, they are not only some of the finest materials available, they are also sustainable. They carefully cut the materials to make sure there is minimal waste and limit the run to a set number of shoes. This means once a run is made and sold, that particular shoe is no longer available. This is not about mass production. These have printed inside them and on the box label *The First Installment 040405*(4th April 2005) . 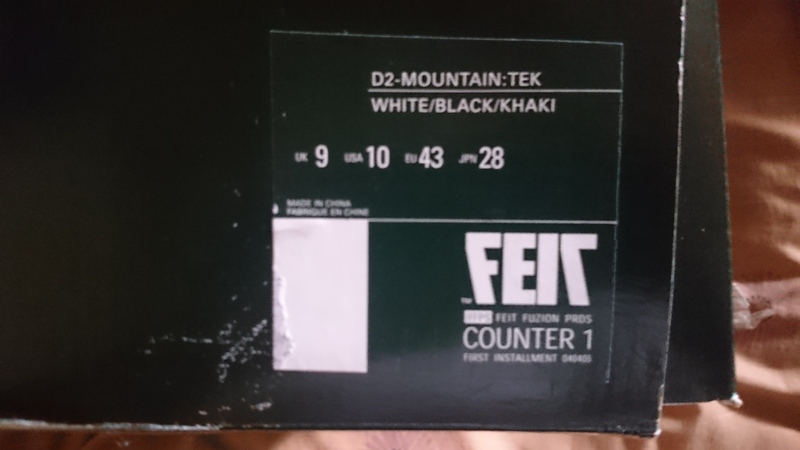 This was made me think I may have accidentally stumbled upon the first run of FEIT kicks. Then I decided to check the other pair and they were from the second installment. 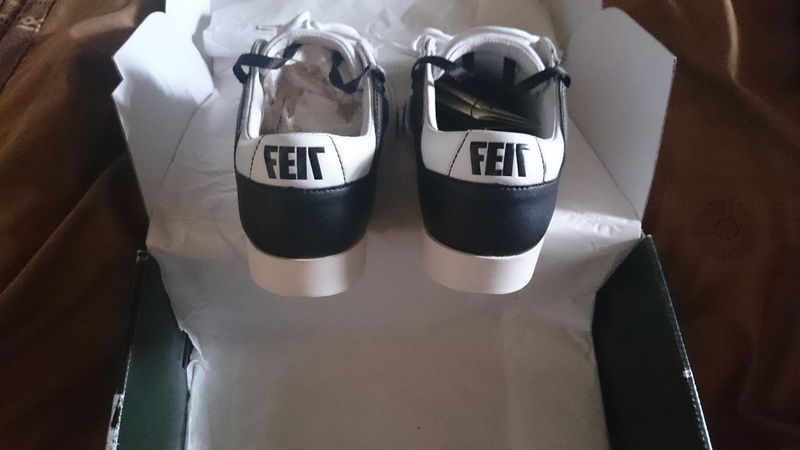 I then contacted Josh at FEIT and he confirmed I had indeed picked up the first kicks they ever made. He was also surprised at this crazy find. The first pair has a Vibram sole and a leather upper, although the outer heal section has a hi tech dimpled plastic material that feels like it will be very durable. 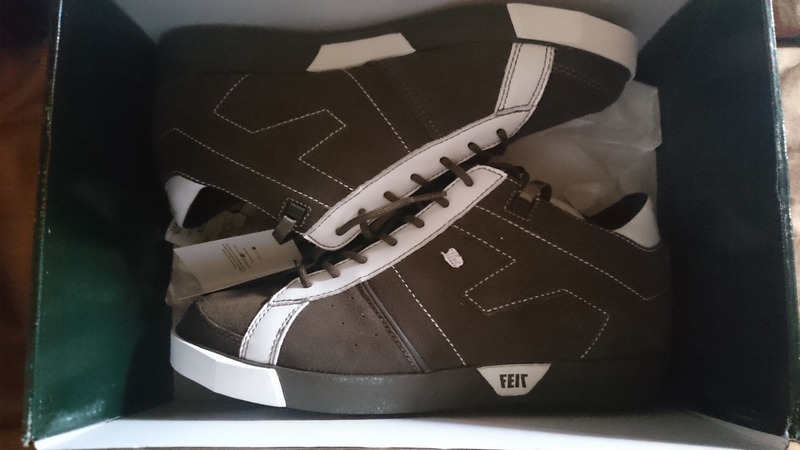 Like all my FEIT’s these should also become even more comfortable with some use. 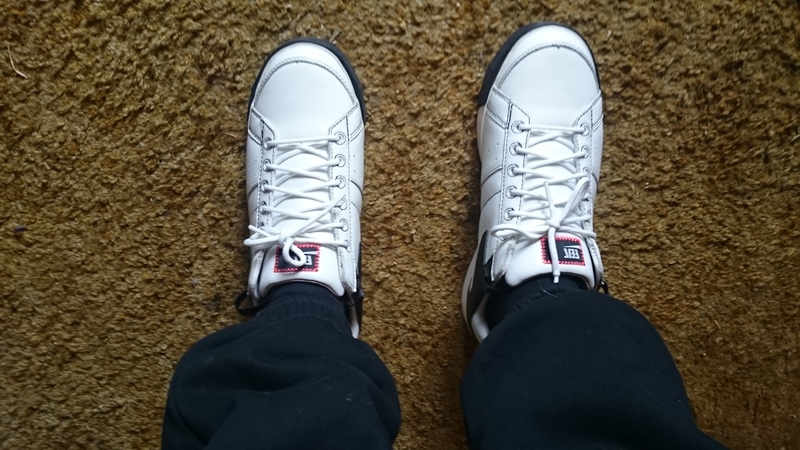 Now I was hesitant to wear such a rare kick and thought about not wearing them but then I remembered that the seller had another identical pair for sale, so I jumped back on ebay and snapped them up. This second pair of first installments, I will keep new and unworn. 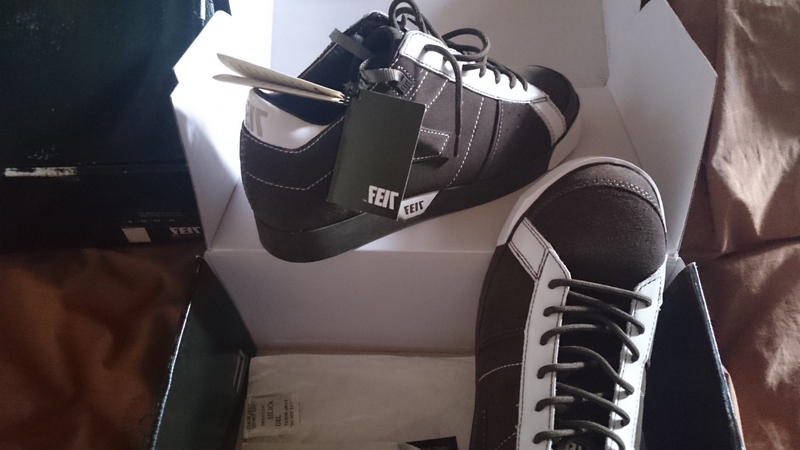 The pair I bought that were from the second run(installment) are Counter 1 G3 Tailored Khaki and have *Second Installment 080905* ( 8th of September 2005) on the box label. As I cannot get another pair of these it is doubtful I will wear these. These have a vibram sole and a seude upper and exhibit the same craftsmanship as I would expect being FEIT’s. These very rare kicks must have come from a collector and IMO are worth far more to me than I paid for them. I feel very privelidged to have them in my collection.